These film is so iconic that it seems every scene has a stunning historical cinematic moment for the viewer, shortly after we meet Goldfinger’s stunning 1937 12 cylinder Rolls Royce Phantom 337, Oddjob flings a steel brimmed bowler hat at a statue and knocks its head off. Fortunately, Goldfinder owns the golf club. Harold Sakata's Square Coke Bowler Hat has been auctioned a couple of times in the past twenty years and is now said to be back in the possession of EoN. 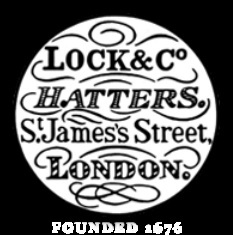 It was said to have been made by Lock & Co., one of the world's oldest hat makers. Although several were allegedly made and only two had the steel (chakram) brim. Other companies have been mentioned. Sakata returned to wrestling after his movie sojourn and had a hat as a prop, but we have not learned reliable enough information about its Goldfinger provenance. Nevertheless, if you want a fabulous brand new bowler hat it will set you back £285. While Bowler Hats are not currently in vogue, another type of headwear has experienced a renaissance in recent years. While most would have had at least one flat cap prior to the Second World War, by the time of the 1970s it was seen as the preserve of men from the north of England. The post millennium period has however seen a return to popularity and many UK menswear stores carry them as standard.